Proven module equipped with NXP's ARM7TDMI-S based LPC2478 microcontroller suitable for a wide range of applications. 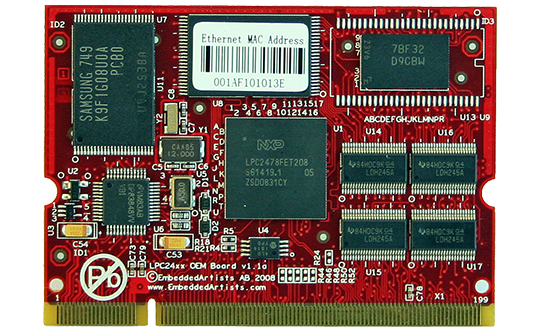 The LPC2478 is – despite being an entry-level product – the most advanced product in NXP’s LPC2000 family. The LPC2478 OEM board is available in commercial temperature range, 0 to +70 degrees Celsius.